Not too long ago Pagan Marie Boutique announced they were having pre-orders for all their Lime Crime products. I of course couldn't pass up this opportunity and quickly went on and bought another lipstick. This is my third time buying from Pagan Marie, it's an amazing online store and sells awesome clothes as well and the best thing is shipping is free for NZ orders and delivery is very fast. This time around I went for Glamour 101 which as you can see is a dark, wintery almost brown red. It's been on my wish list for a long while but was always sold out so when I saw it I put it in my basket with no hesitation. 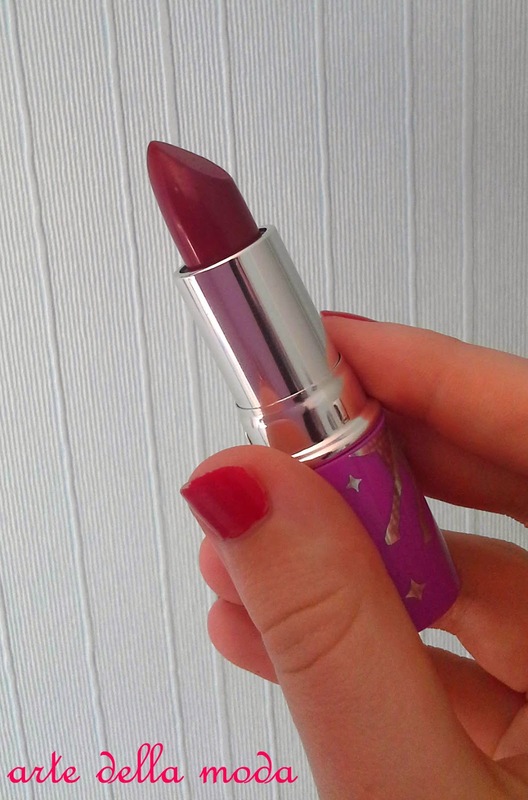 Like with my other Lime Crime lipsticks it's very creamy, smells nice and the colour is very pigmented. My lips are really annoying in that there is no clear 'line' between them and my face so when I put lipstick on it tends to bleed and just looks messy so the use of a lip liner is a must. I really love the colour, I think it really suites me. My lips have been really bad this winter, very dry and chapped and the state of them can be clearly seen when I have this lipstick on :/ It just doesn't look good. I really need to invest in some lip scrub and be very liberal with the lip balm. Looks like a very pretty color! ooo these colour looks so nice! i only have one LC lippy, but im thinking on getting more, maybe ill try getting them off pagan marie! !